A new report has been released by an independent group on the investigation into the death of Democratic National Committee (DNC) staffer Seth Rich. 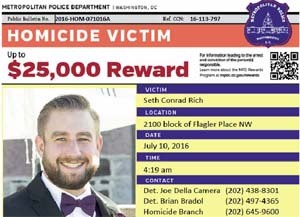 The 27-year-old Rich has been described as an “disillusioned DNC” staffer, believed to have leaked thousands of damaging DNC emails to WikiLeaks, who was murdered in the early morning last July 10, in a residential Washington, D.C. neighborhood. Contrary to fact, Democrats continue to insist the DNC emails have been hacked by Russia or agents in collusion with Moscow. The Profiling Project is an all-volunteer group of current and former George Washington University forensic psychology graduate students and instructors. This report is broken down into the following sections: 1. Project Recap 2. Definitions 3. Profile of Seth Rich 4. Victimology 5. Questions We Asked 6. Neighborhood Canvas Conducted on May 4, 2017 7. Discussion, Considerations and Additional Research Needed 8. References. 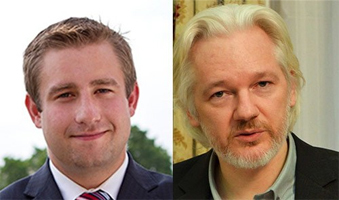 Click here for a previous report on Tulsa Today about the Seth Rich Murder. This entry was posted in National on June 20, 2017 by admin.